Have you ever walked into a vacation rental kitchen to whip up a delicious meal, only to realize that the cookware is not nearly as good as your own? Or maybe you've visited your friends or parents and gushed over how well their cast-iron pan seared your steak? 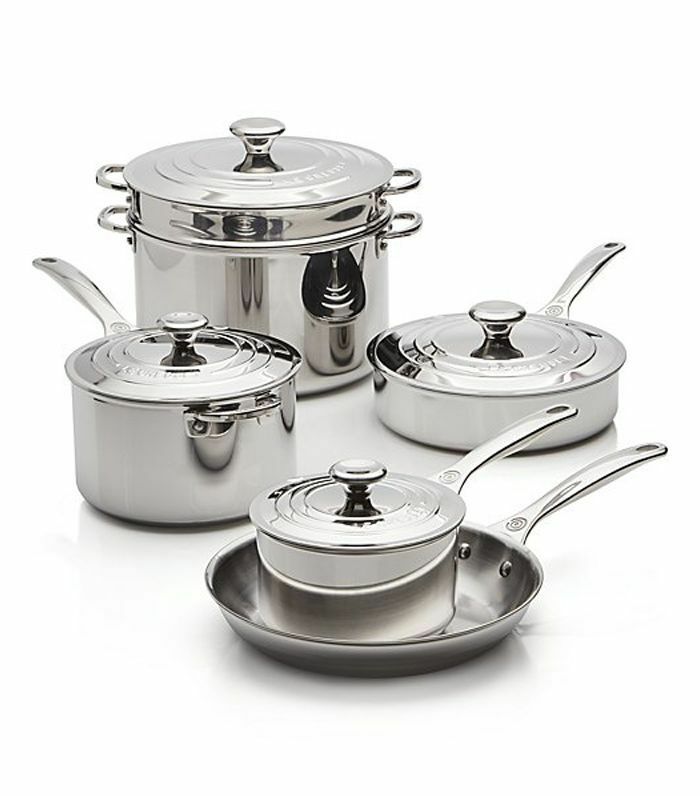 Pots and pans are certainly not made equal—and the options range from big-box starter kits to incredibly high-end heirloom pieces. With myriad options out there, finding the best pots and pans for you is no easy feat if you're no expert—that's why we asked three NYC-based chefs to enlighten our pot and pan purchases. "I have a few different pots and pans at home, says chef Laurence Edelman of Left Bank in the West Village. "I use them all constantly and for different things. What they all have in common is that they are built to last throughout generations, heavy, stable and even heat conductors." Ready to give your pots and pans an upgrade? These are the only pots and pans worth buying according to NYC chefs. "The brand I swear by is Zwilling," says Laurent Tourondel, executive chef and founder of Second, L'Amico, and The Vine in New York City. 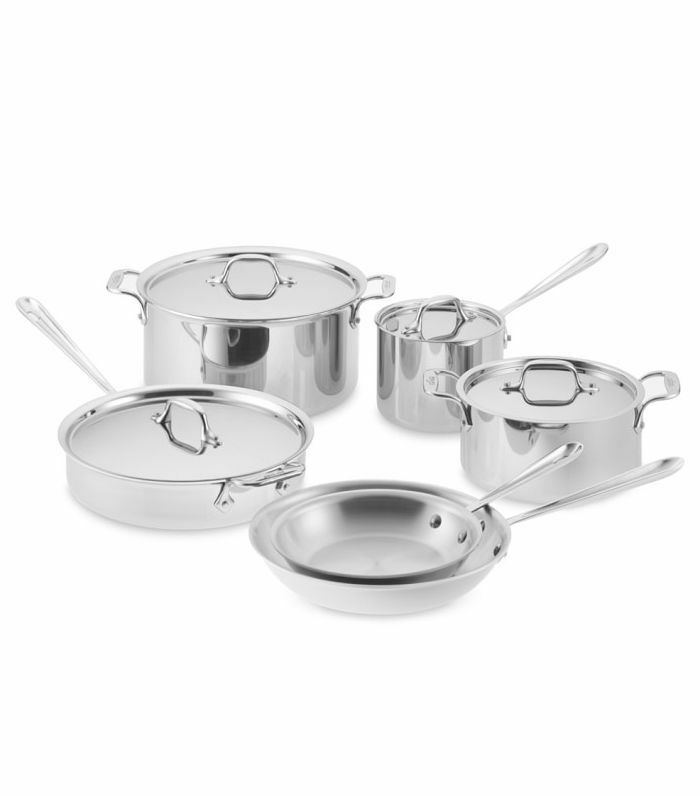 "I bought a 10-piece cookware set a few years back and have been using the brand ever since. I always look for a thick nonstick coating for scratch resistance and lightweight pieces that are easy to travel with." While he swears by All-Clad for most of his cookware, Tourondel also holds a special place for a second brand: "I prefer Staub for a cast iron skillet," he adds. "Its products transfer and retain heat easily and have a long lifespan." For chef Nic Caicedo, executive chef at Harvey at The Williamsburg Hotel, only one brand matters: Le Creuset. "It's durable, easy to clean, looks great, and can be used with a ceramic, induction, electric or gas range," he says. "In general, I'm looking for a flat bottom, a product that can cook food evenly and perfectly and is easy to clean." 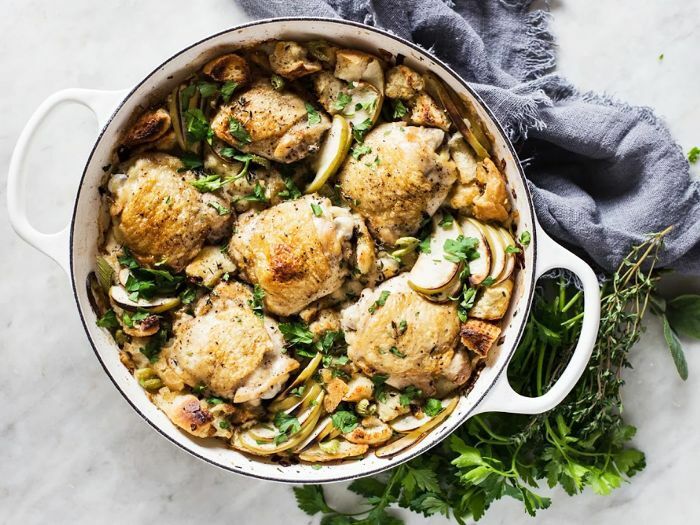 "What I have the most of is Le Creuset, and if I had to choose only one pot and one pan, they would undoubtedly be Le Creuset," says Edelman, who shares a love for the classic French brand. 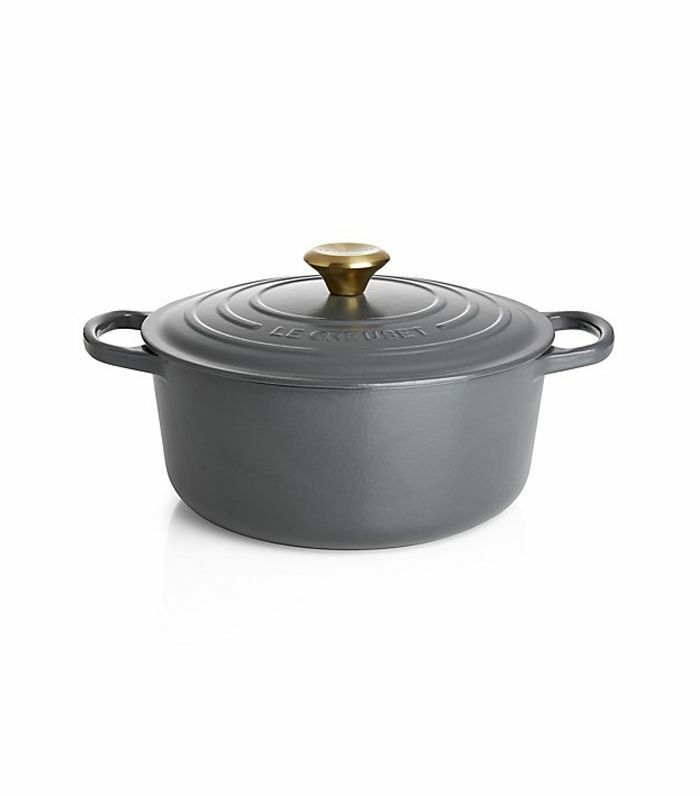 "I go for the classics—their beautifully enameled iron pots and pans. I use them for braising meats, making sauces, roasting chickens, or making elaborate rice dishes like paellas. There is nothing that they don't do well, and they transfer seamlessly to the dining table." "I have two sizes of blue steel Mauviel skillets," says Edelman. "One I use solely for eggs and must have cooked over 10,000 eggs in it. The other, I use for searing fish or meat. These pans allow you to build a patina, and they are essentially non-stick at this point." "For boiling pasta, making quinoa or any other grains, or boiling eggs, I generally use my stainless steel All-Clad pots," adds Edelman. 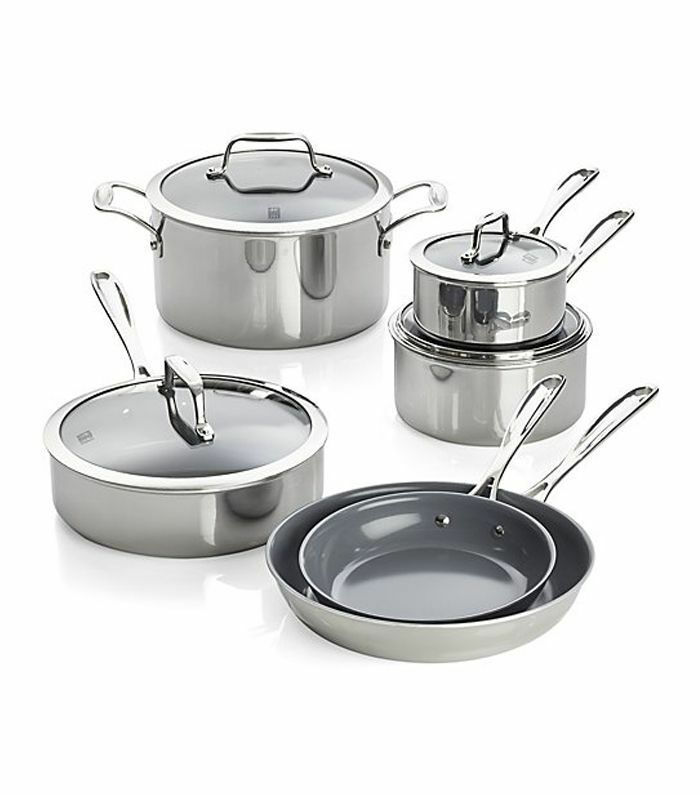 "I have a few different sizes (all pretty small and all with lids), and they work really well. I like them because they are light and easy to move around and wash. Also, the lighter material heats up quickly, getting the water boiling in a timely manner. I really love all my pots and pans—they are as important as knives." Braising pan: Great for roasting, braising, sautéing, proofing. Ideal for braising short ribs or chicken. 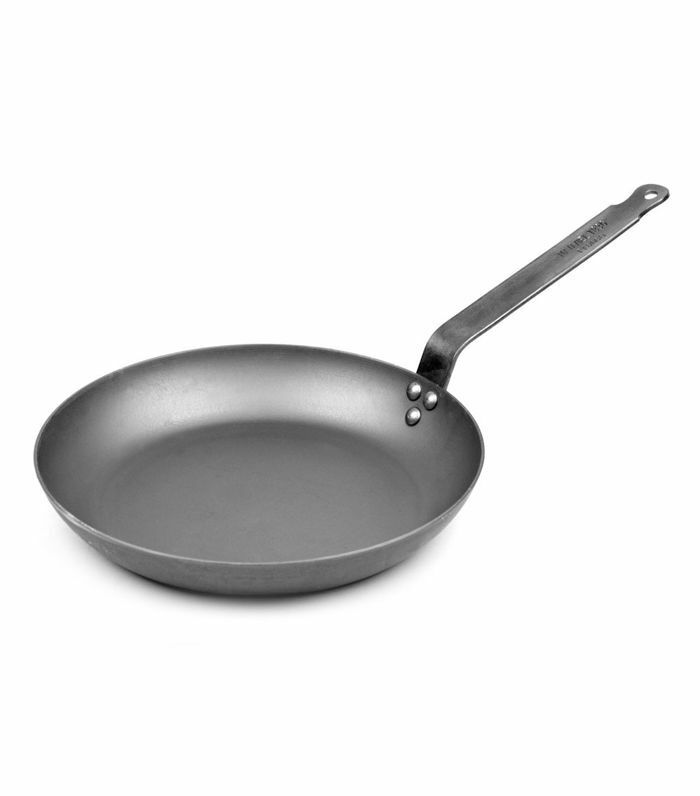 Sauté pan: Sautéing is one of the best feelings of cooking, especially when you learn how to properly sauté. I love a good stir-fry with julienned onions, red pepper, carrot, garlic, and broccoli. 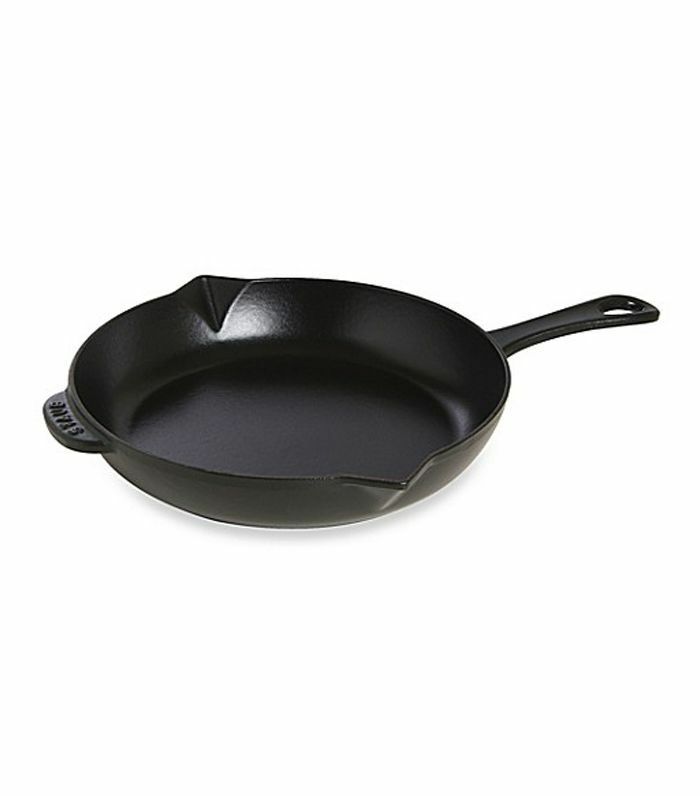 Cast-iron skillet: For searing a nice piece of steak, a cast-iron skillet—a naturally nonstick surface—is a workhorse. It's great for searing and or roasting. Saucepan: A saucepan is made for three things: sauces, sauces, and sauces! It's also great for heating up liquids like milk or water. Stockpot: A good stock, chicken, for example, will cook for a good five to six hours, lid on, to retain all flavors and aromas. Next up: a New York chef teaches us nine types of knife cuts.